Hi! I’m Andrew. 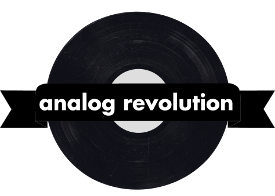 I’m the tech lead at Analog Revolution. We make a lot of stuff, and we want to keep making things. Unfortunately, at the moment, that means that we need money. Ryan and I both work, in addition to the things we make, and a lot of what we do here ends up coming out of our own pocket. Beyond that, listen to our podcasts! Read our magazine! Tell your friends!